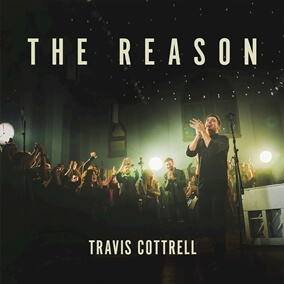 ℗ 2018 Capitol Christian Group, Inc.
Travis Cottrell's new worship album The Reason presents an authentic offering of worship songs that are accessible to the church, by incorporating Cottrell’s expertise for the modern worship choir and creating powerful songs that impact the ever-changing and growing church. It includes the highly anticipated lead single, “The Reason,” and features pre-release single “No Other Fount,” stirring ballad “Even Now,” and instant classic “What A Beautiful Name/Agnus Dei” featuring, daughter, Lily Cottrell. Travis shares, "We have worked on this project for months and months, and have prayed at every step that the Lord will use it however He sees fit. I really do pray that it leads you to a place of authentic worship and communion with the Lord. And if you’re a worship leader, I pray that it will be a helpful resource to lead your people effectively." Download The Reason today on iTunes and pick up the worship leading resources you need here on MultiTracks.com.